This entry was published on February 10, 2019 / Sty. 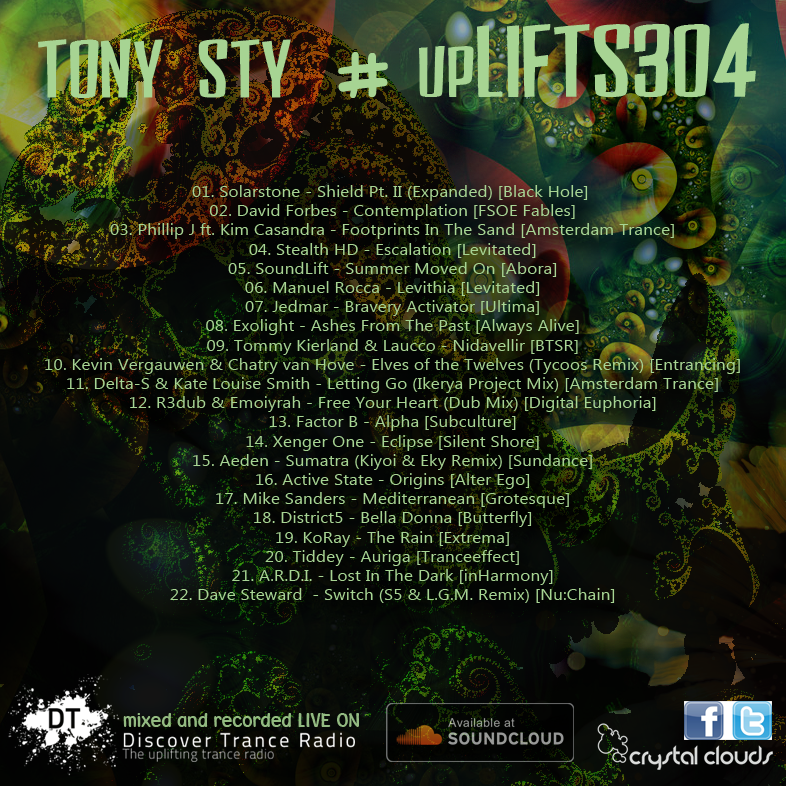 Posted in Mixes and tagged Tony Sty, Uplifts. Bookmark the permalink. YEAAAA new intro….. very nice!!! YEEEEEEEEEAAAAAAAAA 🙂 🙂 🙂 🙂 🙂 🙂 🙂 🙂 The perfect sound ! ! ! really a great part was this!!! well mixed!!! so bangin Trancy sound and catching melody!!! YUUUUUUUMMMY!!!!! Origins is a totally euphoric choon, Mediterranean has a great energy & melody, Bella Donna ( funny italian title >> translate is “nice women”) has a good uplift sound, delicious!!! alert for The Rain is a bangin bomb!!!! Lost In The Dark is an outstanding melodic CHOON!!! what a sound!!!!!!!!! <<< Tune of the set!!!! In hindsight I started this mix a bit more proggy than normal. Forgetting its an “Uplifts” mix 🙂 but some tunes just stick in your head during the week and you just have to play them. thanks for your kind words, I especially enjoyed mixing the second half. After an afternoon nap, it took me a while to wake up and get in the zone.